Another great day of racing in Medemblik in perfect sailing conditions. After four races we begin to see the first contenders for a medal, but anything can still happen. Today one boat broke a rudder, another a jib strut and some sailors found themselves on the wrong start line. After 4 races in the Hansa 303 Double fleet, Patrick Maurer and Christian Hiller, from Switzerland, are leading the pack. On this second racing day they finished first in both races. Today there was less wind than on the first day of racing. French sailor Gabriel Barrose de Maria is happy there is less wind. “Today I’ve sailed better than yesterday, there was a bit to much wind for me then. I even finished second in race 4. It’s my first international regatta, competition is much bigger then I’m used to. In my country I manage to finish in first place, but here are teams that train a whole lot more. Of course I like to win, on the water I’m very competitive.” In the overall results Gabriel is in 11th place. In the SKUD18 fleet, the Dutch team of Rolf Schrama and Sandra Nap are satisfied about the racing today. “We stay close to the two best teams in the world, the British and Polish, so I think we are doing pretty good”, said Schrama. “Last week we competed in the Delta Lloyd Regatta, but didn’t do very well. This week is much better for us, now all we need to do is beat the current world champion Poland.” The Polish team is leading the fleet so far this regatta. In the Hansa 2.3 Malaysia’s Al Mustakim Matrin is still undefeated with Portugal’s Fernando Pinto in second place. Two of the ladies in that fleet – GBR’s Lindsay Burns and Portugal’s Luisa Graca – shared a third and fourth place each to be only 2 points apart overall. 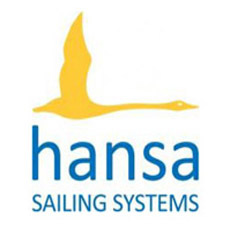 Christopher Symonds is leading the pack in the Hansa 303 single, finishing in first place on the first racing day, at the expense of the Portuguese Pedro Reis who lost a protest on Sunday. Today, Symonds had another good day with a second and first place. 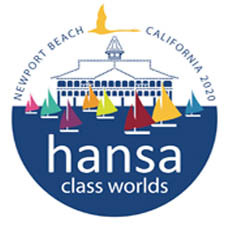 For the Brazilian Pablo Maya, who is sailing a Hansa 303 for the first time in this regatta, the day ended with a broken rudder. “It only happened after the races, but we’ve got to get this fixed before tomorrow”, his assistant explains. The Liberty is a large and exciting class this regatta. Australia’s Rod Angwin is happy with his results this day, after a bad start on Sunday: “ I finished 11th and 3th today, so I’m back where I should be.” The day before he ended up in the middle, now he’s working his way up again and finds himself in 11th place overall. It will be hard work for the large fleet to catch New Zealand’s Sarah Dunckley, who took 2 bullets today to lead the Netherlands’ Gerard Beens by 4 points heading into day 3. Overall results are available here.